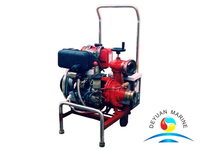 this water pump is specially used to wash the deck or for fire fighting under emergency. 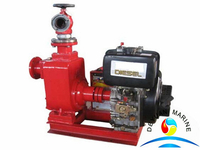 The water pump which used in this series is SWZ series pump,CWL series pump and CIS series pump. 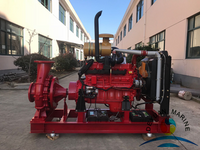 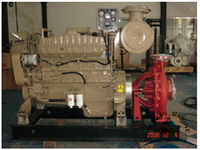 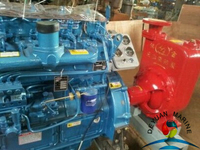 If the rotating speed of diesel engine is equal to that of the aforesaid water pump,the performance parameters of the water pump may be same as those of the pump above. 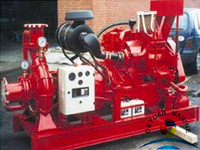 Water cooled,that is,cooled though seawater and fresh water heat exchanger by using the water from the pump itself. 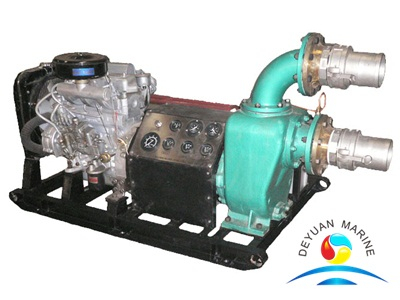 Starup of diesel engine:Electric startup,with battery provided.